If you fancy getting into the fascinating and potentially lucrative world of coding and developing apps, then today’s featured deal may be right up your alley. 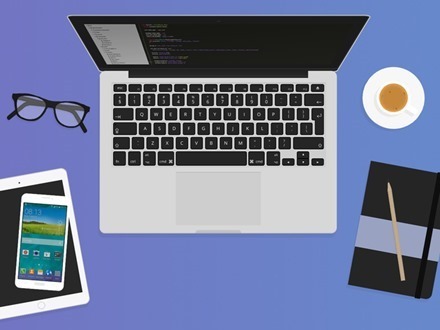 It’s the Interactive Coding Bootcamp – serving up ore than 30 hours of video content – on offer for just $39, a full 92% off its standard price of $499. Become a job-ready developer by building a portfolio of real-world apps and interacting 1-on-1 with the best mentors in the field. This training is as robust as it gets, including live instruction and job-hunting assistance, on top of 33+ hours of top-notch video courses (some from Stanford, Harvard, etc.). Jump into this 12-week curriculum for 92% off! You can see more detail and place an order for this deal at this iPad Insight Deals page. 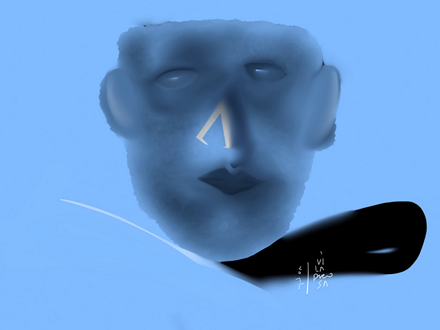 Our featured iPad painting today is another by a big favorite round here, Deborah McMillion, aka Hotel Midnight. The only one of my digital paintings to go from ZeusDrawMobile on my iPhone 3g. Then to ZDM stretched on the first iPad. That would be Number 1 in 2010. In 2011 I redid it from the ground up on Sketchbook Pro after it upgraded all those layers. At that time she acquired the diving board rail. And finally using SBP, Brushstroke and Alayer she takes one more bow. Ladies and gentlemen, I give you: Her Final Dive. 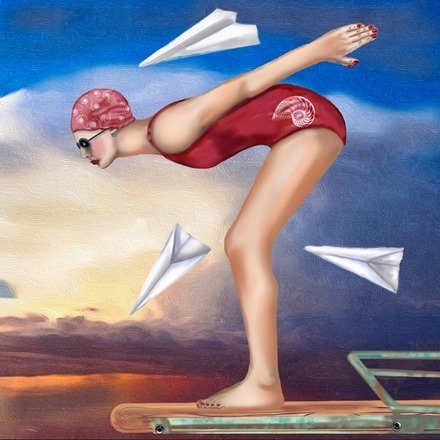 And you can enjoy the work of many great iPad artists in our iPad Art section. iPad stands are one of my favorite (and most used) types of iPad accessory. And the Flote Orbit is my favorite iPad stand – the one that’s used every day at my home office desk and elsewhere around my house. Today it’s our featured deal – available for $119.99 – 14% off its standard price of $140. 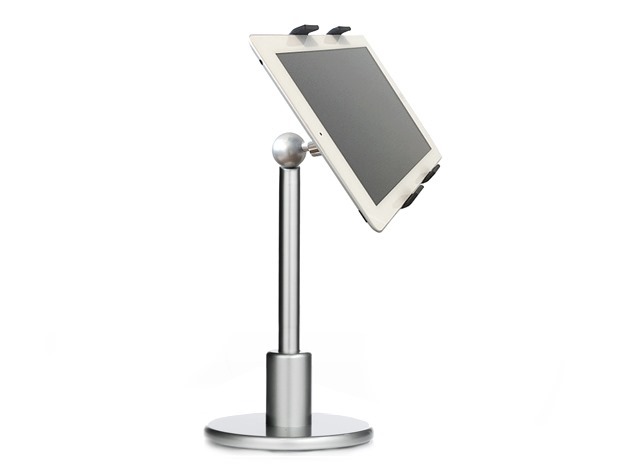 The ORBIT FLOTE is designed to hold your tablet just where you want it, so you can go about your business hands-free. Use it in the kitchen to display a recipe, around the house to stream Netflix, or in the office to share a presentation. With its sleek design and durable build, the ORBIT is a reliable accessory for any environment. You can see more product photos and details, and place an order at this iPad Insight Deals page. Winners – please keep an eye on your Inbox and spam folders, as we’ll be emailing you your promo codes very soon. Our featured iPad painting today is titled ‘Mis extraños amigos. “Mascara”. 2015’. ‘My Strange Friends: Mask’ in English. It’s part of the excellent My Strange Friends series, and the second iPad painting we’ve featured from the series, by Alberto Viladrosa. It was created on his iPad using the Paper by FiftyThree app. I love the colors and shading on this one, and also all the non-expressive but somehow still gripping facial expressions in this image and in the series as a whole. To see more of this artist’s lovely work, check out his Alberto Viladrosa Flickr stream. Our own iPad Art section showcases incredible iPad paintings from a number of great iPad artists. My thanks to Mobile Cloth for being a site sponsor this week. These are still my favorite iPad accessory, and still keeping my iPad and my smartphones free of fingerprints and smudges, not to mention some nasty germs. I discovered Mobile Cloth way back in 2010. I’ve tried a bunch of other cleaning cloths since then, and Mobile Cloth still does a better job for me than any of the others. Check out the video below to see it in action. And don’t forget the exclusive offer for iPad Insight readers – receive a Free slim metal case, 25% Off and Free Shipping with the purchase of any purchase of $15 or more. 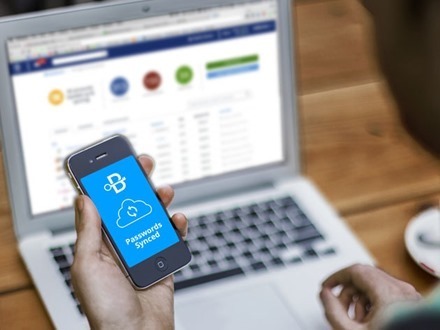 Today’s featured deal is all about getting some online privacy – a hot topic these days with everyone from government agencies to random bad citizens out on the internets look to infringe on it. On offer is the Blur Premium Privacy Protection: Lifetime Subscription, at a massive 74% off. So you can get it for $49.99 instead of its standard price of $195. Blur brings you the ultimate online privacy solution by allowing you to create temporary, masked email addresses, credit card numbers, and phone numbers so you’ll never have to give your personal data to online merchants again. You won’t just be keeping your data safe from hackers, but avoiding that dreaded, inbox-clogging spam. Also a password manager for desktop and mobile devices, Blur is a powerful, full-service information protector. You can check out further details and place an order at this iPad Insight Deals page. Wow, it’s been way too long since we had a giveaway contest here – and today we’ve got a sweet one to make up for some lost time. 3 promo codes for THE baseball management SIM game for iPad and iOS – MLB Manager 2015. If you love the idea of guiding your favorite MLB team to the playoffs and beyond, this is the game for you. It’s in-depth, officially licensed by MLB, and packed with some great new features in the 2015 version. Guide your favorite MLB franchise to glory! 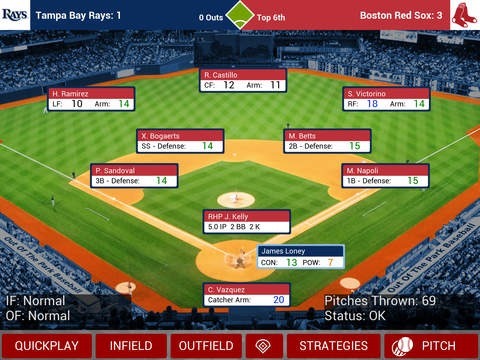 MLB Manager 2015, officially licensed by MLB.com and based on the award-winning Out of the Park Baseball series, is the most fun and realistic baseball game ever created for mobile devices. – Each MLB team features its actual 40-man projected Opening Day roster, along with an additional 20-25 top prospects, for a total of 60-65 real players. The player ratings are based on PECOTA by Baseball Prospectus, the best player projection system today. – Officially licensed by MLB.com. Featuring authentic logos for all MLB franchises, including historical logos! – Shop-a-Player feature. What will you get in return for players you want to trade away? – Player Shortlist. Keep track of your favorite players in a single spot. – Simulate to Date X allows you to advance in time without interruptions. – Career Stats Leaderboards, listing the best players of all time in your league. Our featured deal today is a hefty 50% off the SHARKK 15000mAh Dual-Port Power Bank. This is very handsome, lightweight battery pack to provide that essential extra battery mileage to our iPads and smartphones. 50% off means you can grab it for $29.99, instead of it standard $60 price tag. 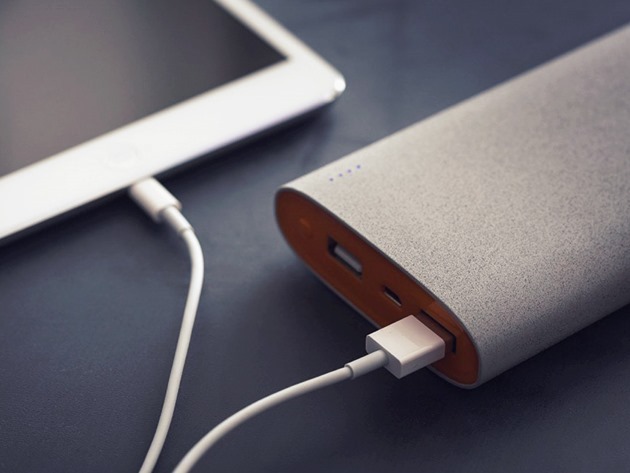 This rock-surface battery pack is just what you need to stay charged no matter what the day brings. TheSHARKK packs tons of power and includes optimized outputs for charging both tablets and phones. With convenient dual-ports for simultaneous charging, the SHARKK is guaranteed to be your rock through thick and thin. To see full specs and details, or to place an order, check out this IPad Insight Deals page. iPads are fingerprint and germ magnets. There is a safe, fast, durable solution. With a few swipes of MOBiLE CLOTH, dry or damp you will see your retina display in all it’s glory again. Did you know that MC removes up to 98% of germs with no chemicals? 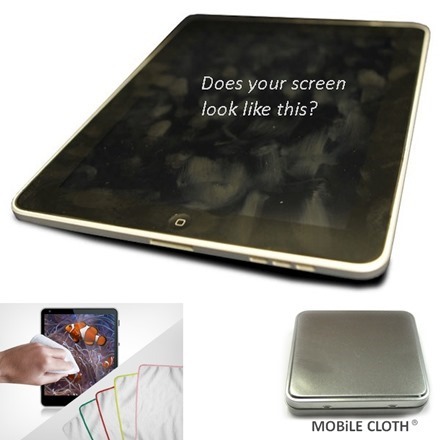 That’s right, your touchscreen harbors more germs than a toilet seat but MOBiLE CLOTH cleans your display thoroughly every time helping to prevent the spread of germs in a safe and environmentally friendly way. Mobile Cloth is washable, durable, and will last for years! An Exclusive offer for iPadinsight readers: receive a Free slim metal case, 25% Off and Free Shipping with the purchase of any purchase of $15 or more. Here’s our featured iPad painting for this weekend. It’s titled ‘The Dragon vs. The Bavarians’ and is the work of José António Fundo. Adonit, Sketchbook Ink and Sketchbook Pro on iPad. Celebrating the 3-1 victory of FCPorto over Bayern München. I think it’s a great, fun bit of celebrating your favorite team’s victory. 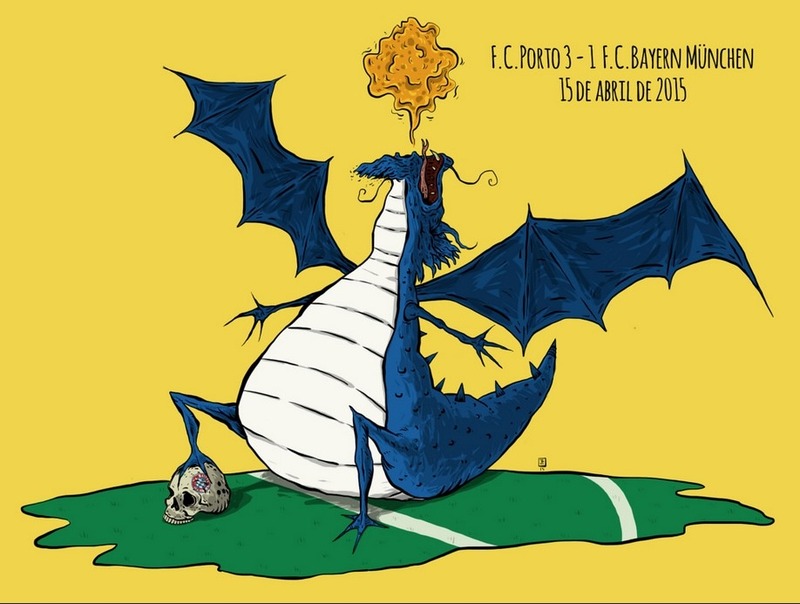 Too bad about that second leg though, where the Bavarians triumphed. You can see more of this artist’s work at his José António Fundo Flickr stream. To enjoy even more great iPad paintings, check out our own iPad Art section.